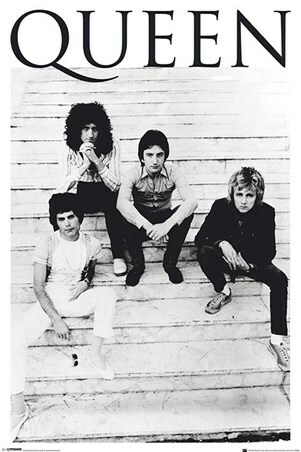 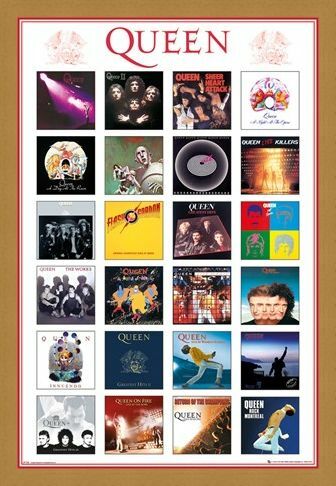 What Queen album is your favourite? 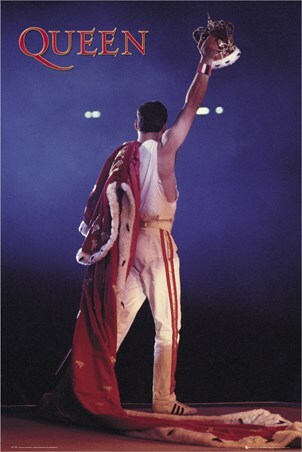 Is it their self titled debut, the classic 'A Night at the Opera', or Freddie Mercury's swan song album 'Made In Heaven'? 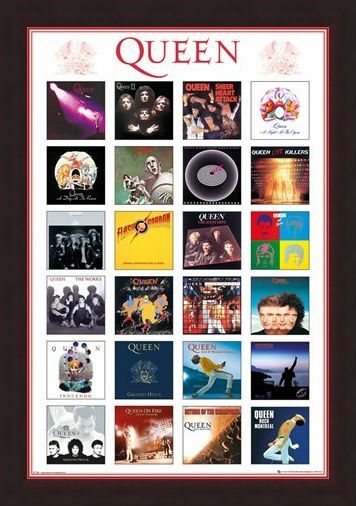 No matter what you have playing on repeat, this amazing poster from the greatest rock band on the planet includes all their releases, including their iconic 'Greatest Hits'. If it's the dazzling artwork of 'Innuendo' that draws you in, or the striking cover to 'A Day at the Races', this is sure to have you reaching for the classic vinyls to hear your favourite tracks all over again. The perfect decorative item for all classic rock fans out there. 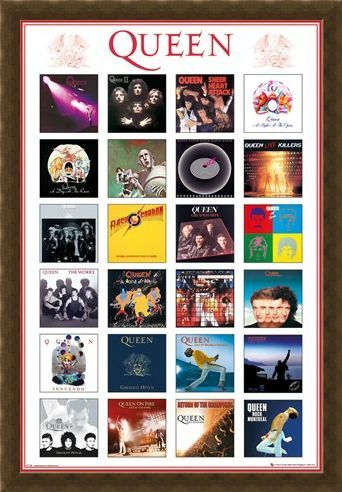 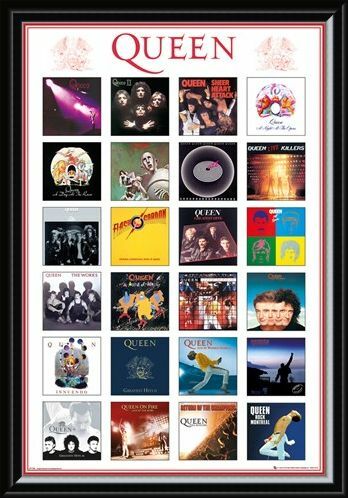 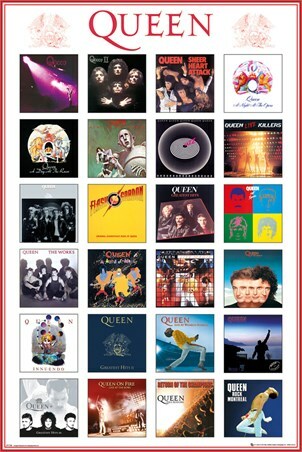 High quality, framed Album Covers, Queen poster with a bespoke frame by our custom framing service.